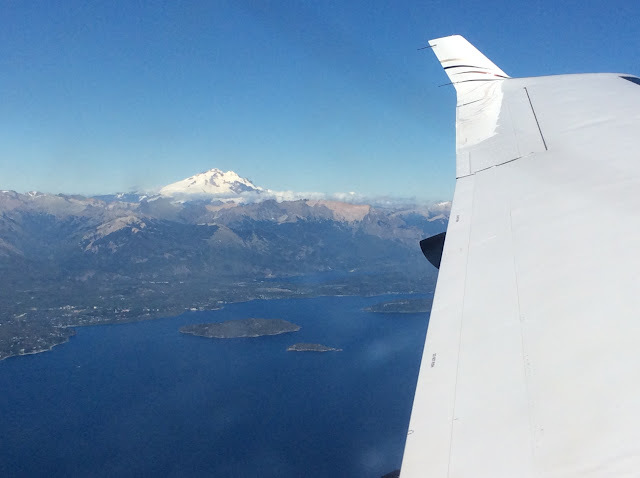 After a beautiful stay in Bariloche (including a nice day outdoors hosted by the Nature Conservancy), today we conducted the shortest flight of the whole trip from Bariloche (SAZS) to Santiago, Chile (SCEL). While the trip was short, it was fairly indirect as we had to cross the very high Andes (peaks above 21,000 FT just east of Santiago) with enough distance to descend to airport at 1,500 FT. Since the airport was landing to the south, we had to fly considerably north of the airport before turning west to cross the Andes. Unlike the prior flight along the Andes, this day provided mostly clear skies to the south and only partly cloudy to the north allowing some impressive views. Once below about 15,000 FT, the air became very hazy due to major fires south of of Santiago. While it was technically VFR, we flew the ILS appraaoch all the way to a final of a few miles before seeing the runway. Reminded us of Accra, Ghana. The FBO (a real FBO like back home) was Aerocardal, the company that helped us get the Chilean permits for Antarctica and arranged fuel and other logistics at Marsh airport on King George Island. 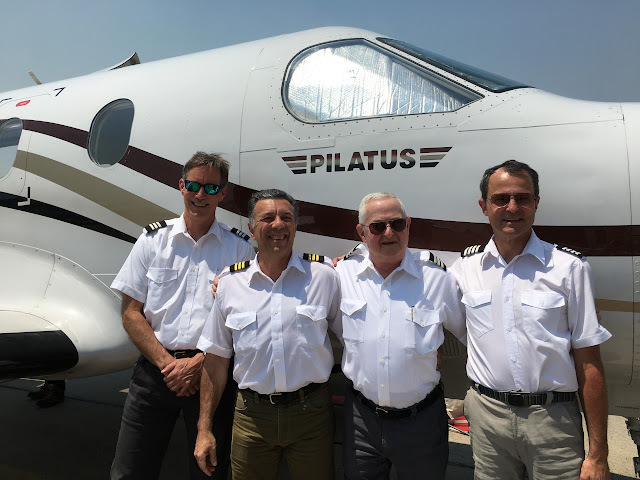 Aerocardal is also and Cirrus and Pilatus service center. We have two nights scheduled in Santiago with another outing hosted by the Nature Conservancy tomorrow. So everyone will get a chance for R&R before blasting-off on the final "sprint" for home.